The Pierce Physical Sciences department has experiences teachers who, with their profound knowledge of their subject and ongoing professional development, aim not only to develop students’ knowledge but also to cultivate their skills and to form a responsible attitude toward critical everyday issues. To this end, we use a variety of methods, such as demonstration experiments by teachers, laboratory exercises by the students themselves, specialized software as well as computer simulations in our fully equipped Physics, Chemistry and Biology labs. Where necessary, handbooks are provided that contain written notes on theory, methodology, exercises with solutions, original problems or Panhellenic examination problems for the G Lyceum. On our electronic platform Blackboard our students can find these handbooks, as well as simulations of experiments, related videos and suggestions of websites that are relevant to the subject they are studying. Every year we encourage students to take part in competitions organized by various educational organizations. The experience they gain is a valuable qualification for the rest of their lives. With great pleasure we have seen our students’ eagerness to join the Physics, Chemistry and Biology Clubs through which they creatively cultivate their interests and skills. Top honors for Pierce G Lyceum student Isaac-Zakino Taramboulous at the 12th Panhellenic Biology Competition. Zakinos received a score of 94/100 and won 3rd place in the 1st phase of the Panhellenic Competition among 900 participants from all over Greece! The Competition took place under the auspices of the Panhellenic Association for Life Sciences on Saturday, February 6, 2016 and Pierce was one of the examination centers for the competition. Zakinos qualified for the 2nd phase of the competition, at which 8 students will be selected from among the 30 winners of the 1st phase so as to form our country’s National Team, which will take part in the International Biology Olympiad in July 2016. The student-members of the Lyceum Photography Club studied the function of the camera and experimented with its functions. All A Lyceum students attended and conducted experiments on the subject of Light in our Physical Sciences labs. All A Gymnasium students attended a presentation on the subject of sunscreens, which was organized by a group of A Lyceum students. G Lyceum students following the Science Orientation were informed about the human eye by Ophthalmologic Surgeon Dr. Panagiotis Zafeirakis. Students of all Gymnasium classes attended a presentation on the nature of Light. 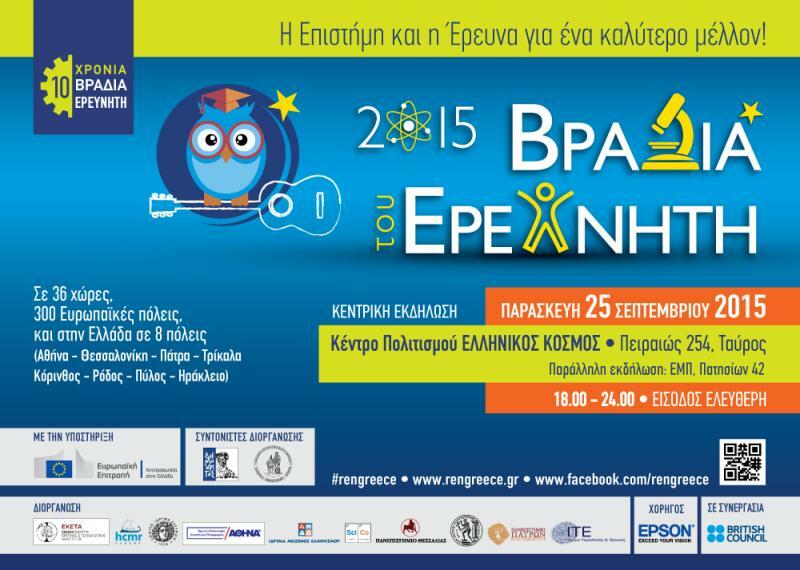 Pierce students Demosthenes Kaniaris (as a B Lyceum student last year), Christos Gazgas, Ioanna Theofani, Maro-Athena Theofani and Pavlos Papandreou (as students of A Gymnasium last year) came first and were distinguished with the Award of Excellence at the Panhellenic Physics Competition 2015, which was organized with the scientific and educational responsibility of the Physical Sciences Lab of the Educational Department for Secondary Education of Athens University. Congratulations to our award-winning students! On Wednesday, December 9, the students of g6 Gymnasium, accompanied by Mr. Vasileiou and Mr. Soulas, visited the Harokopeio University and attended the “Space Training Course for Young Scientists and Professionals on Earth Observation” events on the occasion of International Space Week and the celebration of the 10th anniversary of Greece’s full entrance into the ESA (European Space Agency). Events included presentations by ESA scientists and professors of the Geography department of Harokopeio University on the topic of applications of remote sensing by satellites, a practical demonstration of an infrared camera in observations as well as a small analysis of satellite images competition by students through the internet. Our student Evgenia Dritsa of g6 was awarded. Specifically, A’ Lyceum students in Natural Resources Management class attended a very interesting presentation by two B Lyceum students, Melina Giolma (B2) and Michael Verdelis (B1), who had chosen this class last year. Melina and Michael did a presentation on recycling and reusability to the students, as well as the results of an original study on the meanings and views of Greek people on the issue. Next, they answered questions followed by a discussion, moderated by the class’s teacher Mr. Dimitrios Soulas. See the poster created by the students. In the same context, a presentation on the protection of biodiversity was posted on Blackboard that students of Visual Arts and Design created, both individual and group works on the environment and the student-members of the Photography Club took photographs the natural environment in our School. The students’ paintings and photographs will be exhibited around the School. On the occasion of “World Heart Day 2015”, Pierce Biology teachers informed G Gymnasium students about issues regarding the functioning of the heart as well as ways to protect its health at an event in the Pierce Theater on Friday, September 25th. A few days before that, the G Gymnasium students took part in a study on the subject of the heart, the results of which were presented in the Theater. The same day, Physical Sciences and Physical Education department teachers conducted activities in the Biology Lab, as well as other Pierce spaces, during the long break. These activities demonstrated the connection between the health of the heart and exercise and a proper diet. Students of all classes had the opportunity to take part in these activities. World Heart Day is celebration every year on September 29. This celebration was established in 1999 by the World Health Organization and is carried out in 100 countries, with the support of the World Health Organization. The aim is to encourage students to adopt a healthy lifestyle that will ensure the health of the heart, as well as raising awareness around the world about cardiovascular diseases, which are the main cause of death worldwide. 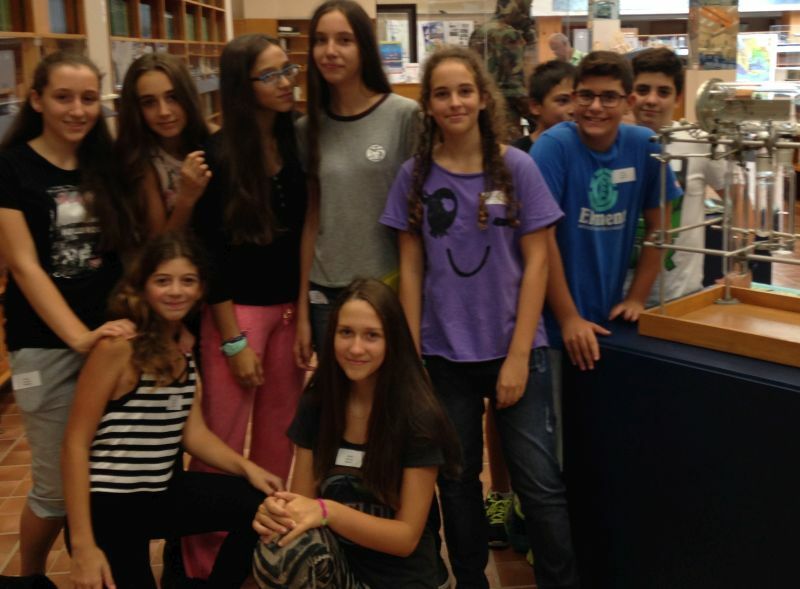 On Wednesday, September 23, students of b3 Gymnasium visited the “DEMOKRITOS” National Center for Scientific Research in the context of the preparatory events of the Evening of the Researcher 2015. The “Evening of the Researcher” is the largest celebration of Science and Research and is organized every year in over 300 cities all around Europe. This year’s events marked the 10th anniversary of the event. Our students visited Demokritos’s unique laboratory infrastructure, the Nuclear Reactor, the TANDEM accelerator (which is a miniature of larger structures such as CERN), as well as a large number of other Labs with highly specialized and particularly interesting equipment, where the students were informed about scientific issues regarding Physics, Chemistry and Biology. 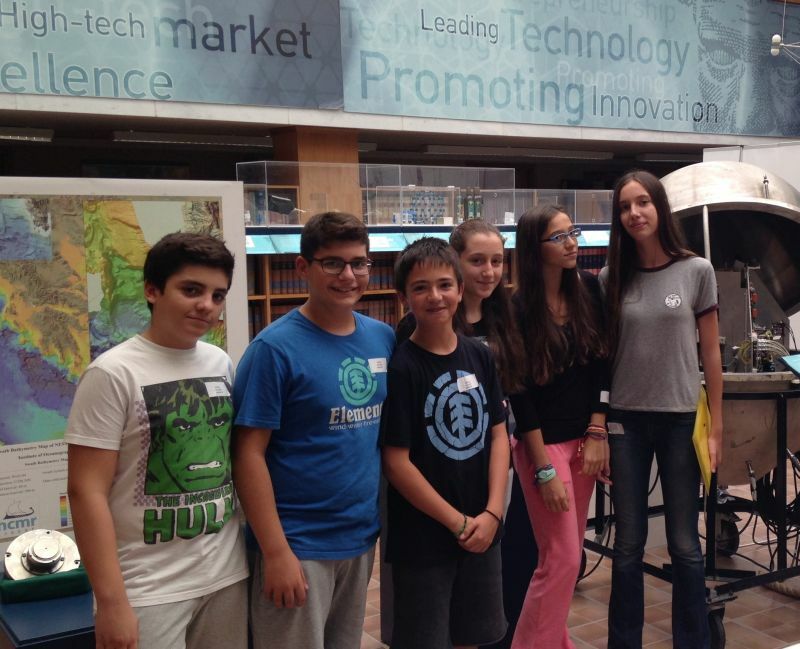 Finally, they took part in specially designed activities on the subject of “DEMOKRITOS” robots and were familiarized, through play, with scientific achievements. The students attended interesting talks by scientists of the National Observatory, were taken on a guided tour of the Museum of Geoastrophysics and worked in groups on the processing of laboratory research issues. Then they observed the night sky with a telescope, took atmospheric measurements and, finally, communicated online with the National Optical Astronomy Observatory in Arizona in the U.S. 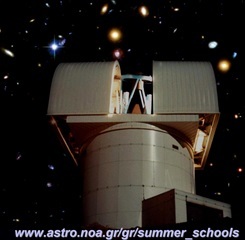 The aim of the program is to raise students’ awareness on issues of Astrophysics, Space and Environment and the link between schools and Technology and Culture.